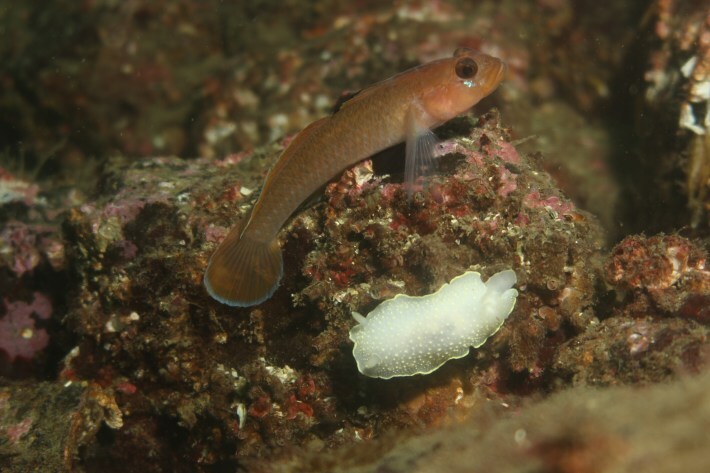 Every winter, male lingcod are tasked with the job of standing guard over their fertilized eggs. 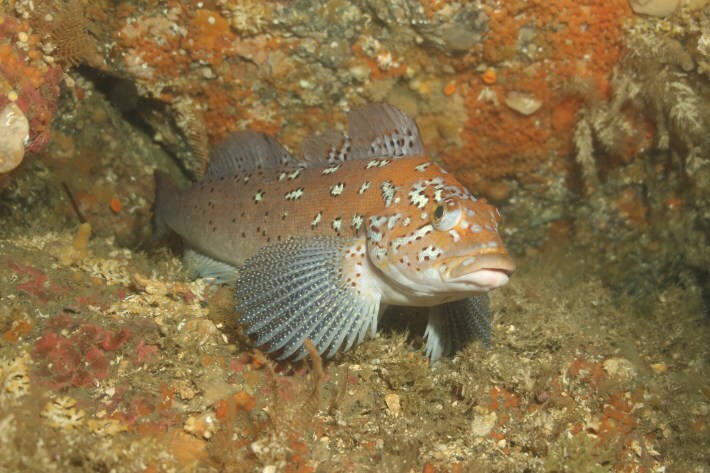 If left unguarded, the nest could be quickly decimated by predators such as rockfish, sculpin or kelp greenling. 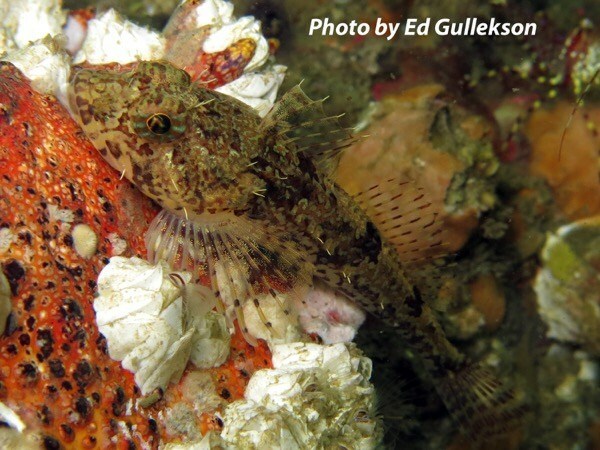 SeaDoc Science Director Joe Gaydos recently went scuba diving off the coast of Edmonds, WA, where he and his dive partner happened upon a lingcod who was holding down the fort. As you can see in the video above, the lingcod quickly swam at Joe as he arrived. After that, the lingcod sent the same message to the other diver before returning to his post next to the eggs, where he'll largely remain until they hatch sometime in late winter or early spring. The newly hatched larvae will flow with ocean currents until they grow large enough to swim on their own. By summer they’ll settle into kelp or eelgrass beds. Lingcod are only found on the West Coast of North America, from Alaska down to Baja. 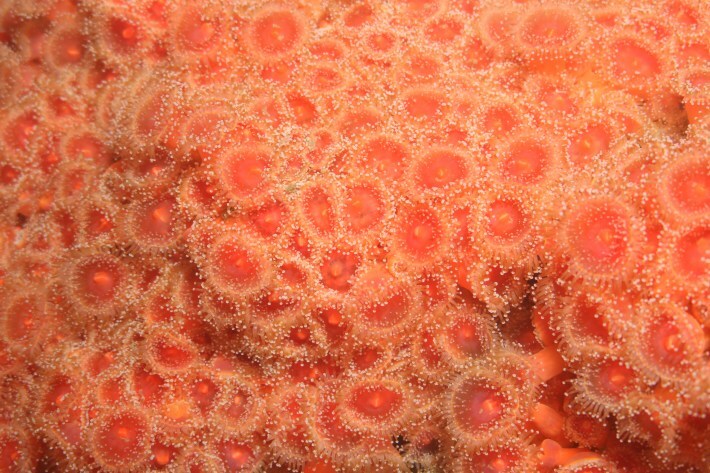 They typically inhabit nearshore rocky reefs, but can go deeper as well. Female lingcod mature at 3-5 years of age, while males mature around age 2. Females produce more eggs as they grow older and larger. Seals, sea lions and human fisherman are all predators for lingcod. If a nest-protecting male is removed by a predator, the nest will also likely be lost in short order. 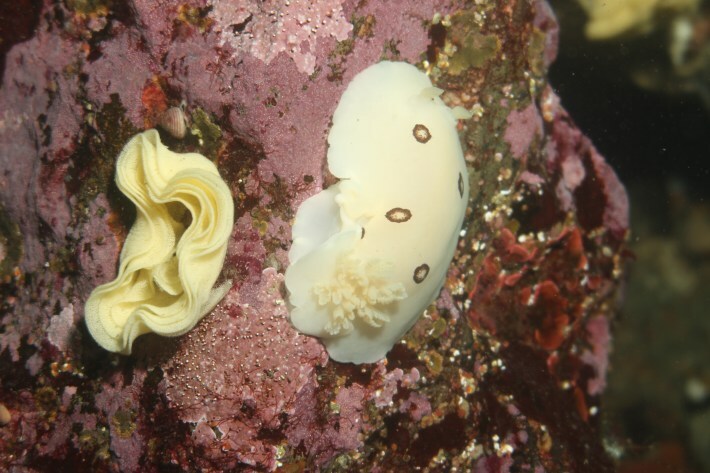 We will feature a different Salish Sea species each month. Subscribe to our monthly update to follow along. For a full week this September, the underwater rock walls and kelp forests of the San Juan Islands swarmed with clipboard-carrying scuba divers taking part in an annual study co-sponsored by SeaDoc and The Reef Environmental Education Foundation (REEF). Among all the fish and invertebrates encountered during 100 survey dives, the drysuited citizen scientists and expert critter counters were blown away by how many YOYs they found. 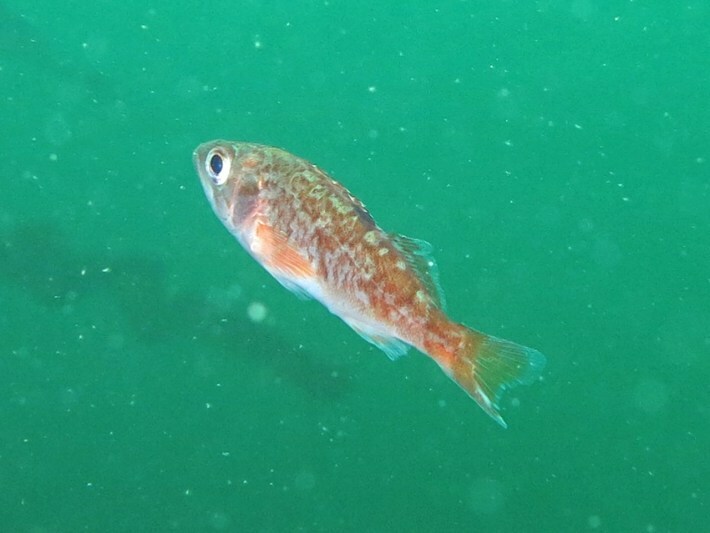 Young-of-the-Year, or YOY, is marine biology speak for baby fish, and what the dive teams saw weren’t just any old fingerlings, but juvenile yellowtail and black rockfish. Quillback rockfish can live to be 90 years old. Rockfish baby booms, called “jackpot recruitment events,” happen sporadically and likely only when water temperature, climate, predator abundance, and other conditions are just right. Researchers haven’t yet been able to correlate jackpot events to subsequent increases in adult fish populations, but with our Salish Sea rockfish populations on the ropes from overfishing, the more babies they pump out the better. Rockfish grow so slow that this year’s yellowtail jackpot juvies will need to dodge predators and derelict fishing gear for at least the next five years (six to eight years for black rockfish) before they’ll mature and get big enough to breed. However, with new fishing regulations in place to protect them, this current class of recruits should have a better chance at long lives than previous generations. “It will be interesting to see over the next couple of years of surveying if these little guys survive,” says Nichols. Aside from the annual intensive San Juan Islands monitoring study, SeaDoc collects data year-round on the fish and invertebrates we find on our Salish Sea underwater sites. We remain very active in rockfish conservation, and we’ll continue to document their abundance levels and, hopefully, their recovery. If you’re a diver or snorkeler, you can help out by telling us about the rockfish you see (what kinds, where, and how many). Or better yet, join REEF (www.reef.org), the fish-watcher’s version of the Audubon Society. It's free and you can start doing survey dives right away. Free web-based ID classes are available too - it’s a great way to hone your ID skills, and together with REEF’s 50,000 citizen scientists you’ll be helping to track the health of our marine ecosystems. Plus, diving here in the beautiful waters of the Salish Sea, it’s just a matter of time before you’ll hit the jackpot. Using a high-definition “Deep Blue” camera and special face masks, SeaDoc divers can feed live video and narration to topside audiences who get to enjoy all the underwater action while staying warm and dry. SeaDoc has performed these extremely popular “virtual dives” for several years using borrowed video gear, but thanks to a generous donation from the Benedict Family Foundation, we now have our own upgraded camera equipment that we’ve modified to better showcase and record marine creatures big and small. The next step is to acquire the capability to stream our virtual dives over the internet to reach even larger audiences for education, research, and fundraising opportunities. If you think you have the right setting—waterfront home, marina, or large boat—and an audience that wants to support SeaDoc’s work and see the wonders beneath the Salish Sea without getting wet, ask us about organizing a virtual dive.